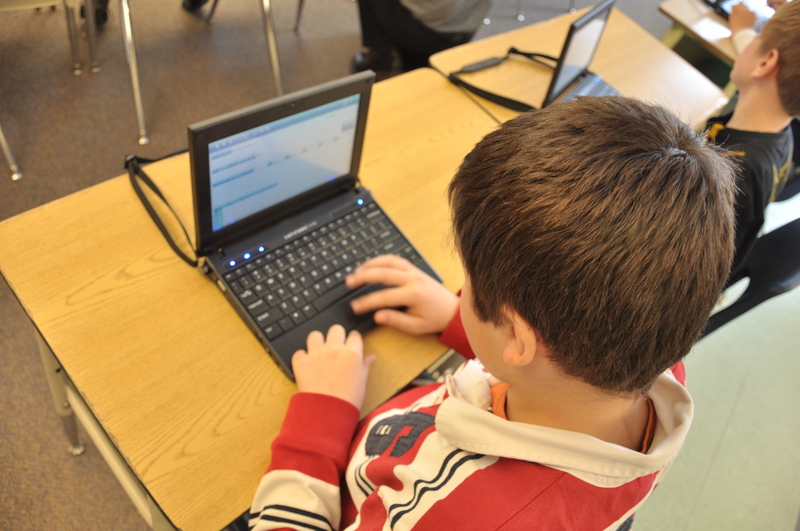 Digital Wish has implemented 1:1 computing programs in 30 schools. The first school took 18 months in planning before we ever delivered a computer to the first classroom. The 30th school took 4 weeks for the same process! 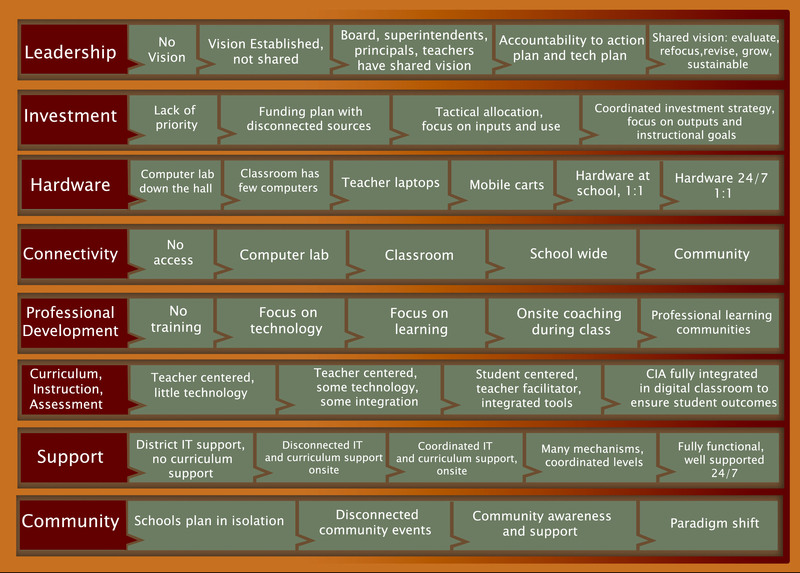 As we successfully deployed computers and training across each school, we realized that the schools were all making the same decisions and same mistakes in isolation. Before even applying for our first technology grant, we spend over a year studying both successful and failed intitiatives, as well as reading every research study we could find. You now have the map for success. But knowing what you need to do, and actually implementing it, are two entirely different things. Visit the Vision section to get tips on establishing a shared vision. In order to raise money, you need to present a convincing argument for each different stakeholder. The technology currently available in schools is woefully inadequate for the task of preparing students for the 21st century workforce, enabling smooth post-secondary transition, and ensuring future economic development. It takes a village to fund a 1:1 initiative and one of your first tasks will be to bring together educators, administrators, parents, community members, politicians, and business leaders and convince them why they should support the program. The most successful leaders trigger a community-wide movement to modernize schools, and in doing so, rally connected communities that will support the future workforce. Here’s a great whitepaper that explains the key points to make with each different stakeholder. Here is an article on persuading funders to support your technology program. Also visit our research area and learn how to sustain your technology programs. Our sustainability research demonstrates that there are typically five or more sources of technology funding available to schools, but most schools only utilize 1-2 funding sources. The most successful schools intentionally develop strong community ties, which in turn generates multiple sources of revenue. This lowers the risk that their technology initiative will lose funding with market shifts. Read this article to learn how to craft a culture of blended funding. Learn how to create a culture of blended funding. School modernization – 21st Century tools and teaching practices will become an integral part of every school day. Connected communities – The internet provides new channels for sustainable learning environments. Economic development – Savvy students will be able to find jobs locally, start businesses and increase the future tax base. Workforce development – Corporations will be able hire locally and expand their operations. Increase college readiness – High school graduates will be better-prepared for college, and thereafter, may return to Vermont to live and work. Be sure to measure these things, at key stages throughout your initiative. Data improvements are your key to securing future funding. Make sure you are measuring every step of the way. Simple surveys take less than a class period to administer, twice a year, and can tip the scales to securing board support and downstream funding. Read our research. It is not enough to simply drop technology into schools and expect change. You may think you are implementing technology in classrooms, but what you are really doing is triggering a cultural shift that demands modern technology tools as a daily part of the learning environment. Much of this will be Leadership must be cultivated, teachers need training, and support networks must be formulated. Take a look at our sustainability study. All of the most successful schools are treating professional development as a community-wide endeavor where teachers mentor and support each other. Read this article to see how other schools are creating a culture of support. Here is an article addressing how to treat professional development for technology: Changing the Culture. Through experience in deploying 30 sites with 1:1 computing, Digital Wish has crafted a master “menu” of programs that will support and sustain modernization, and guide all American schools to support their own rich digital learning environments. This is the curriculum that led to measured research gains. Get it here. Thanks for the post for composing “School Modernization Initiative”. Imay definitely be back for a lot more browsing and commenting here soon enough.